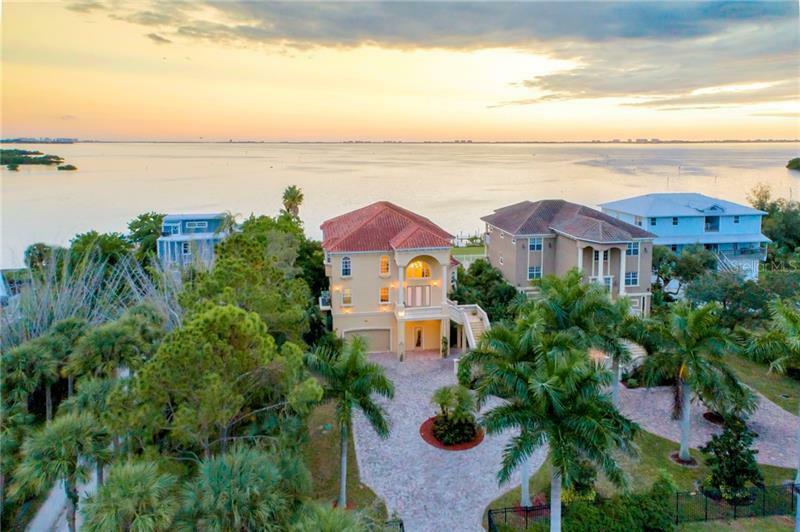 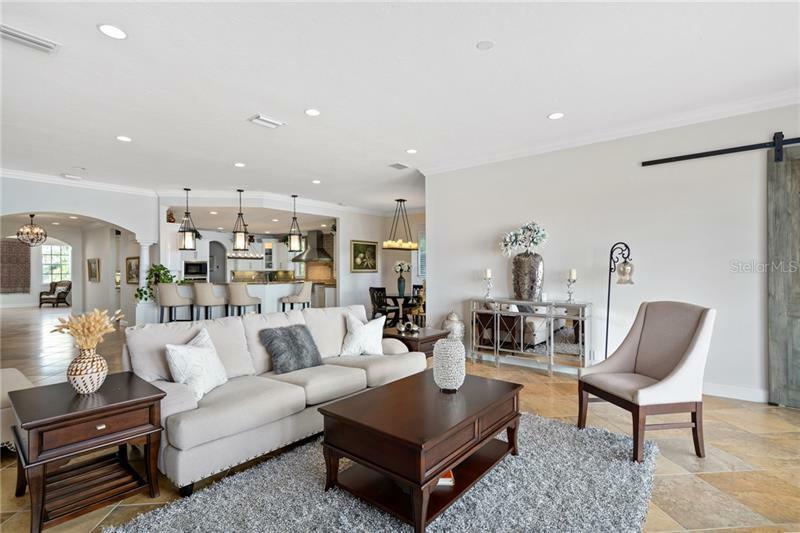 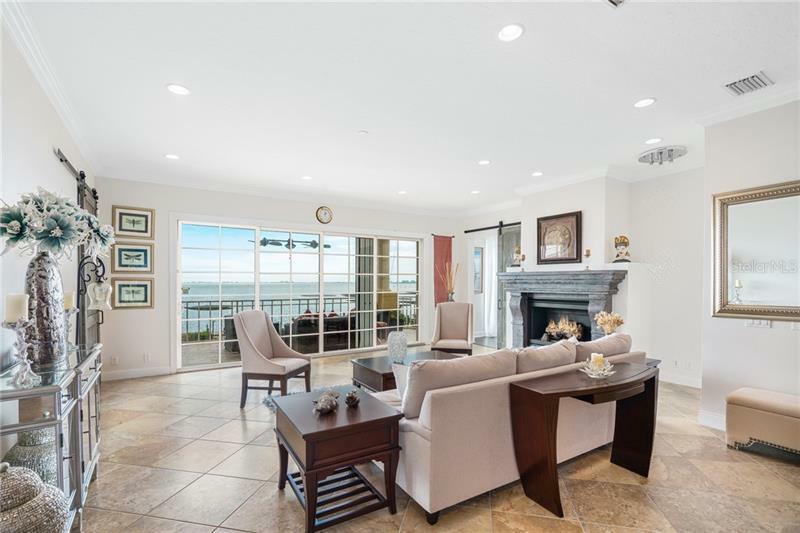 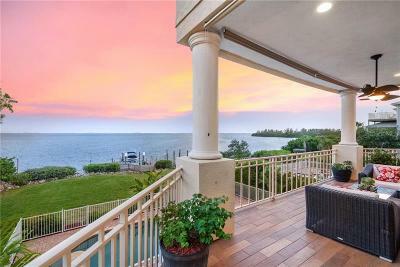 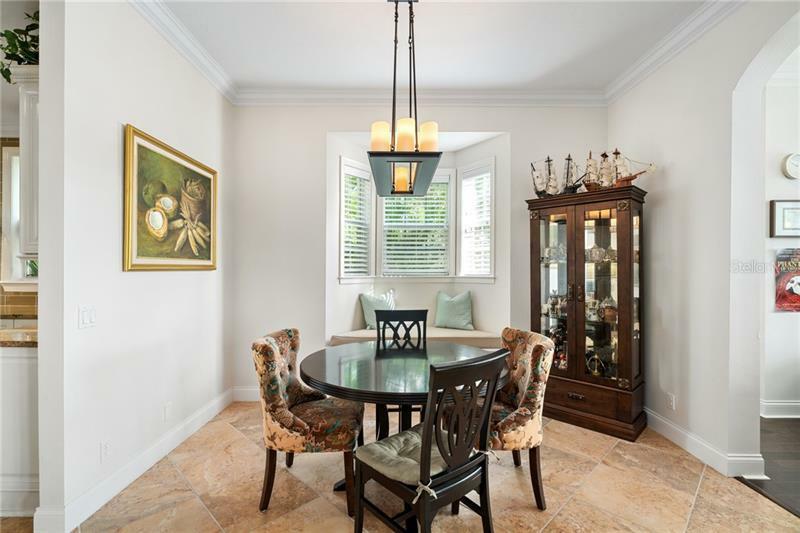 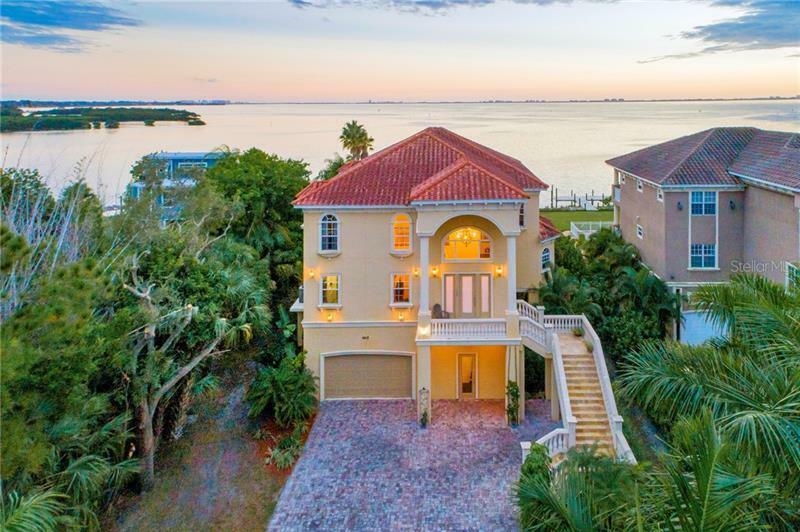 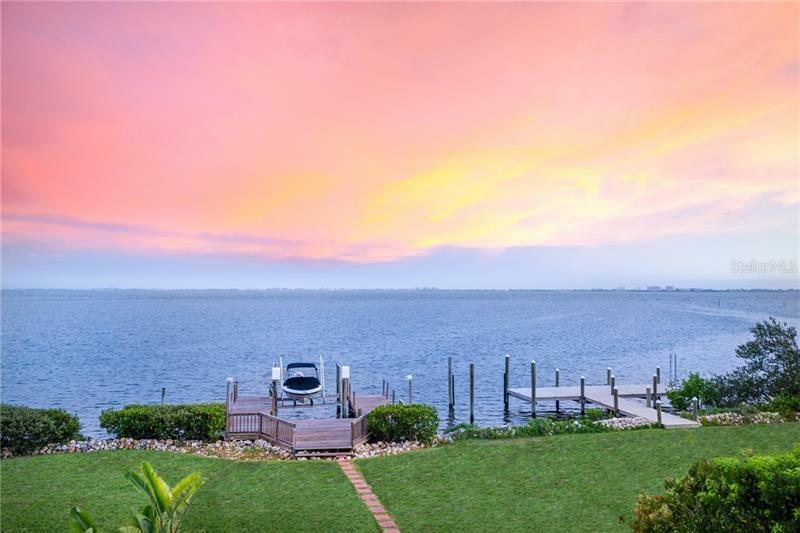 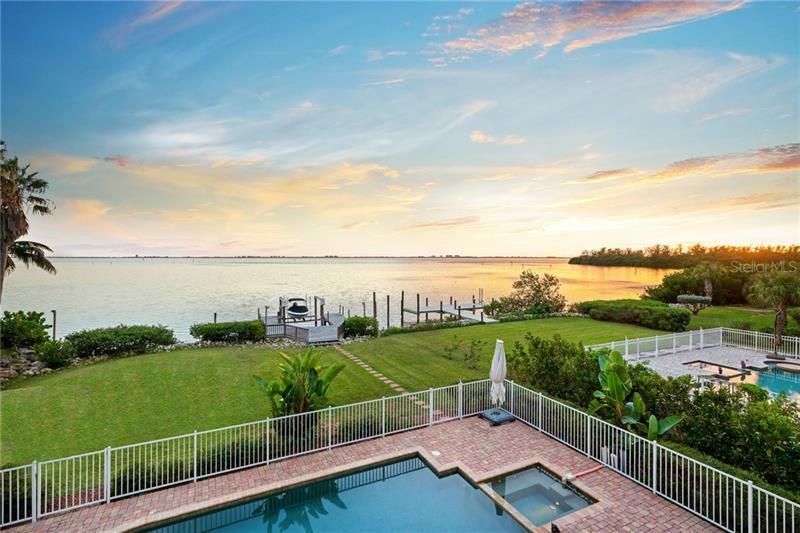 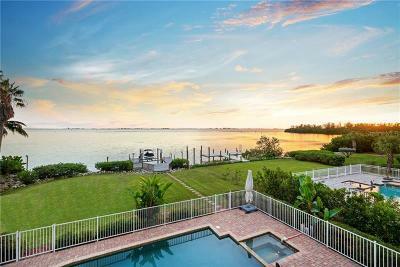 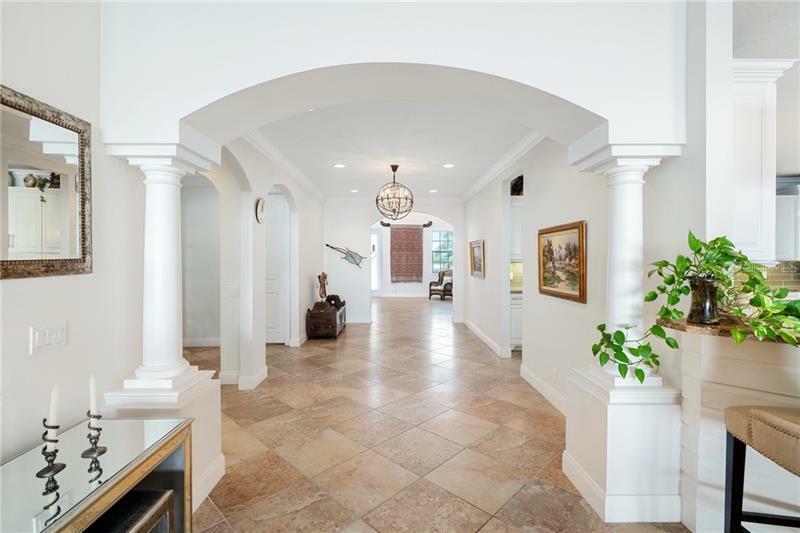 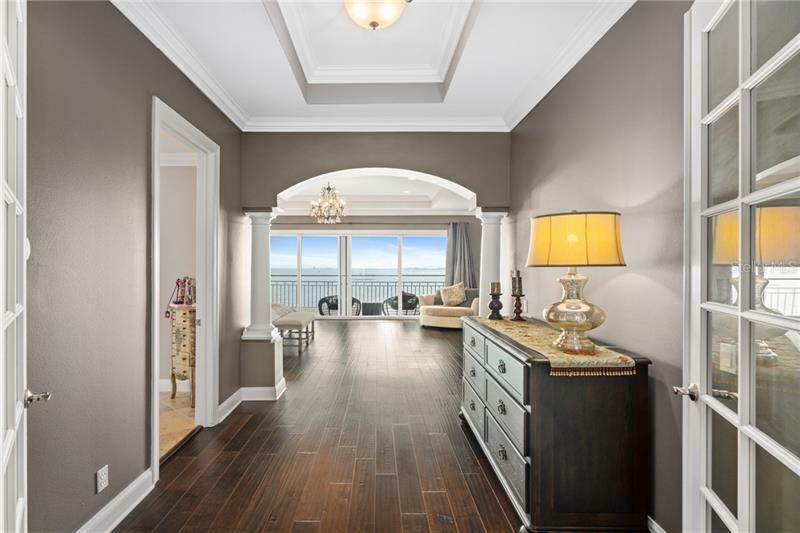 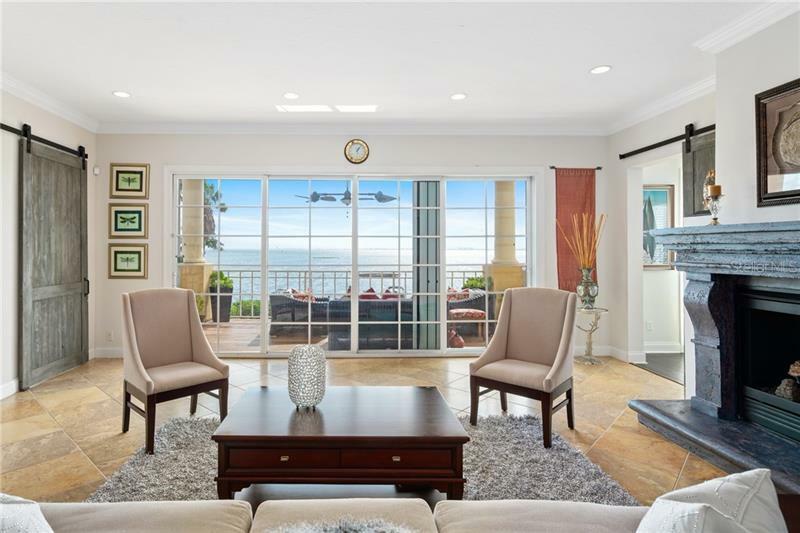 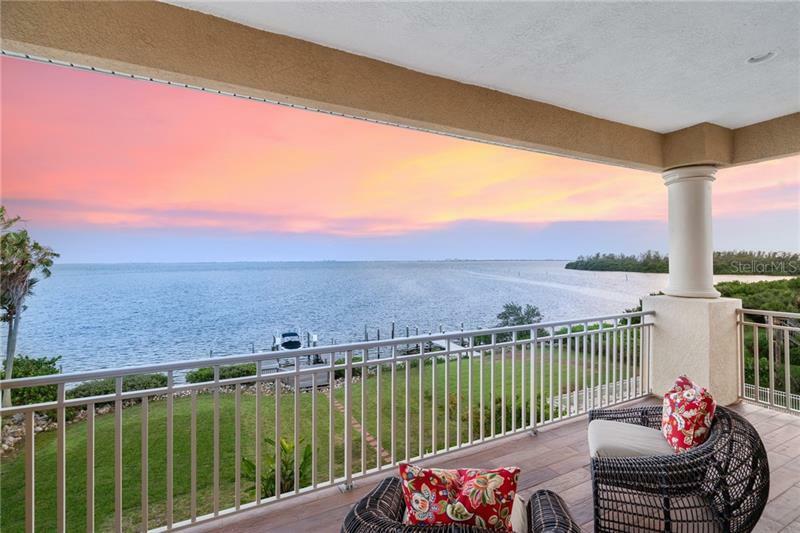 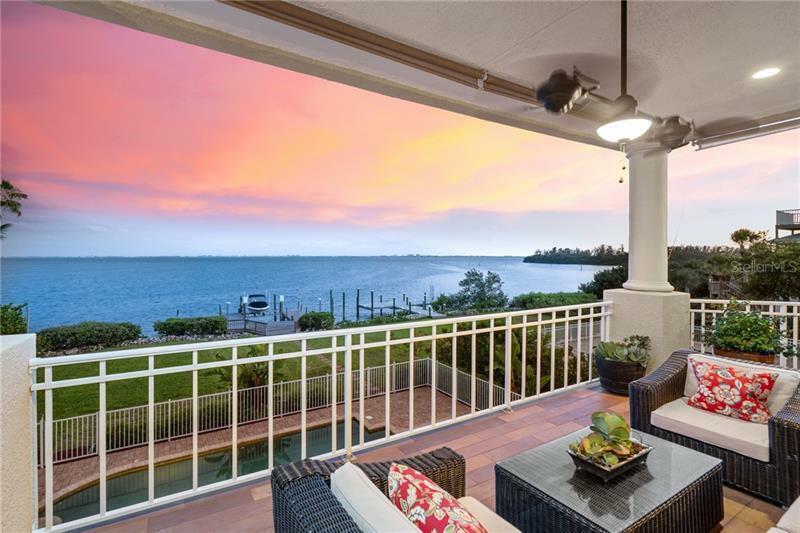 Waterfront splendor meets elegance and grandeur in this lovely four-bedroom home where beautiful south-facing views of downtown Sarasota, the Ringling Bridge, Lido and Longboat Keys are showcased from nearly every room. 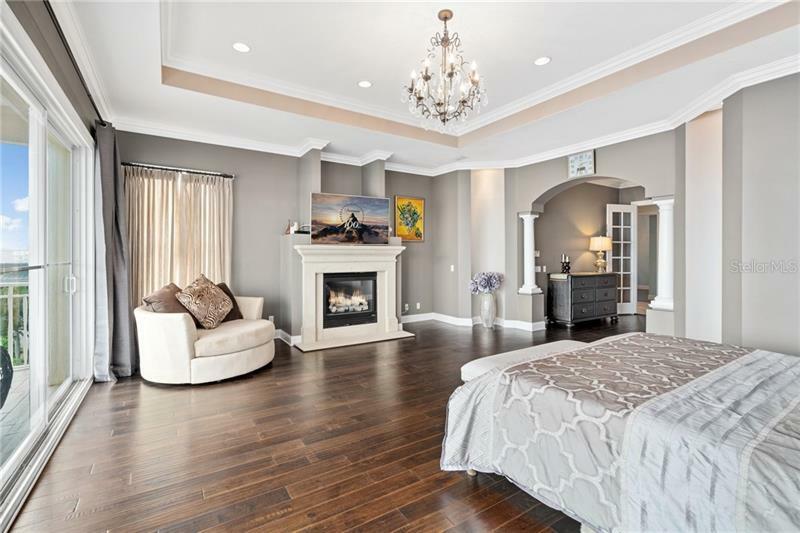 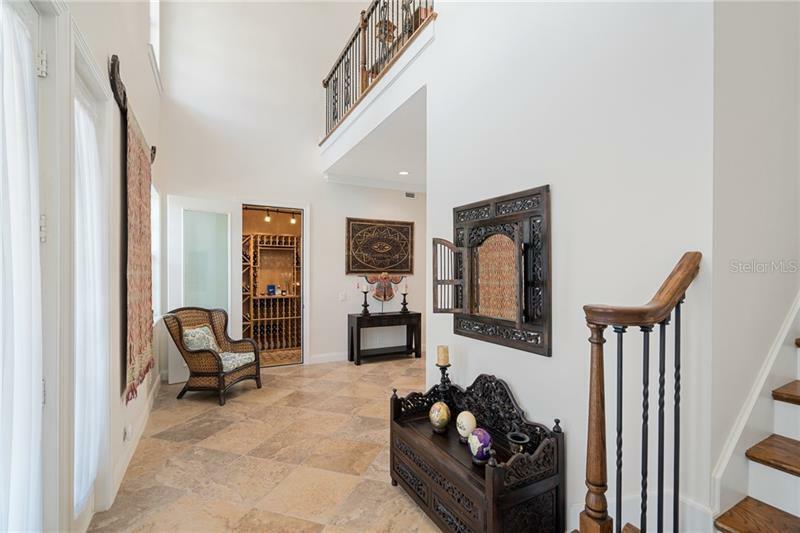 Step inside where open spaces accommodate relaxation and entertaining with equal parts finesse. 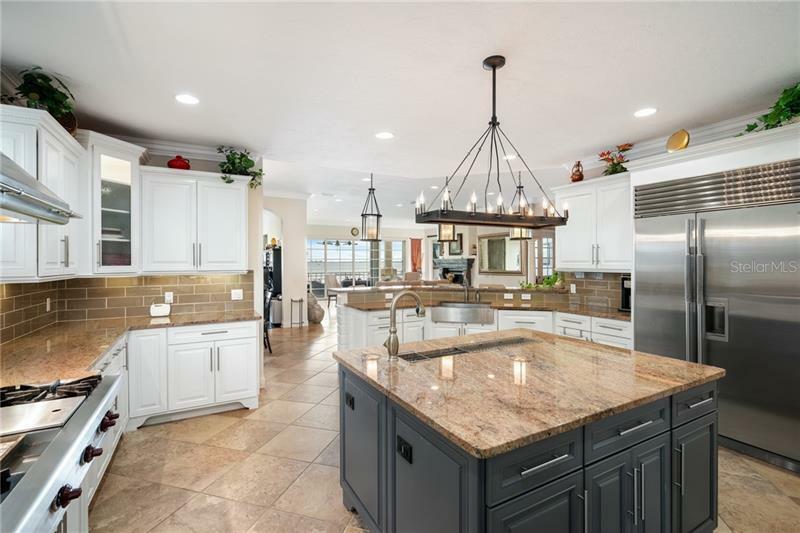 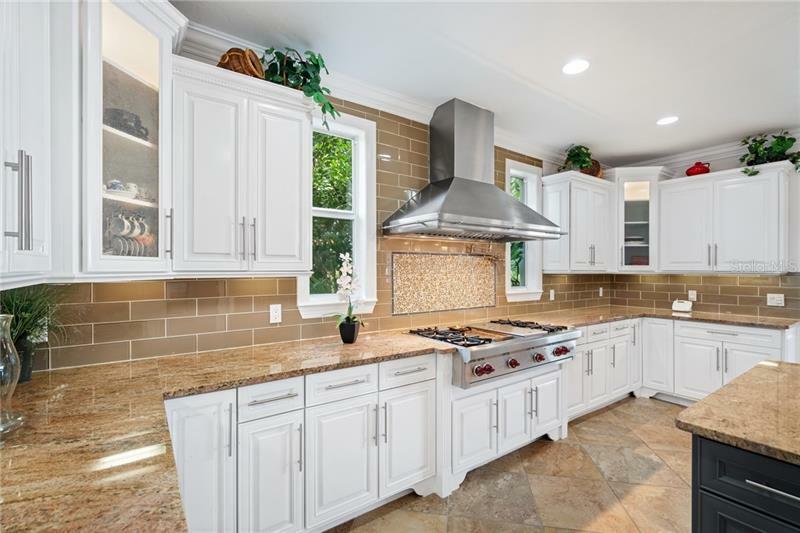 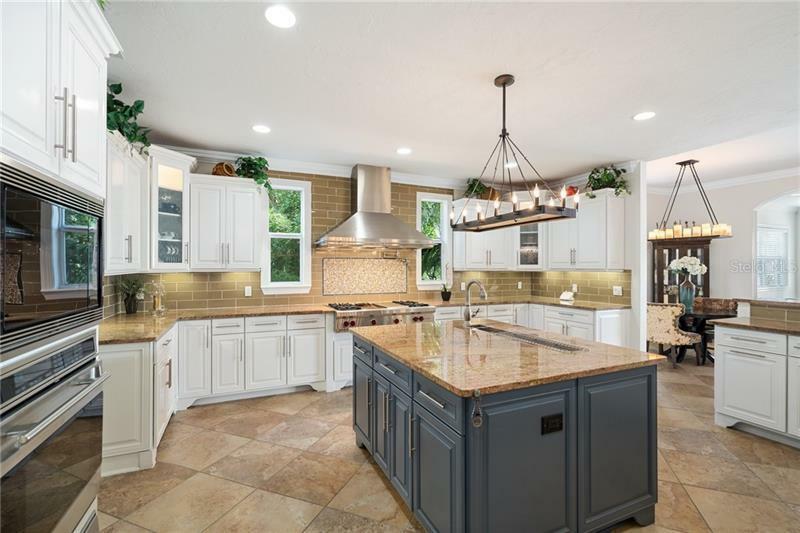 The family chef will feel right at home in the gourmet kitchen with Wolf, Sub-Zero, and Miele appliances, plenty of counter space, and sparkling granite surfaces. 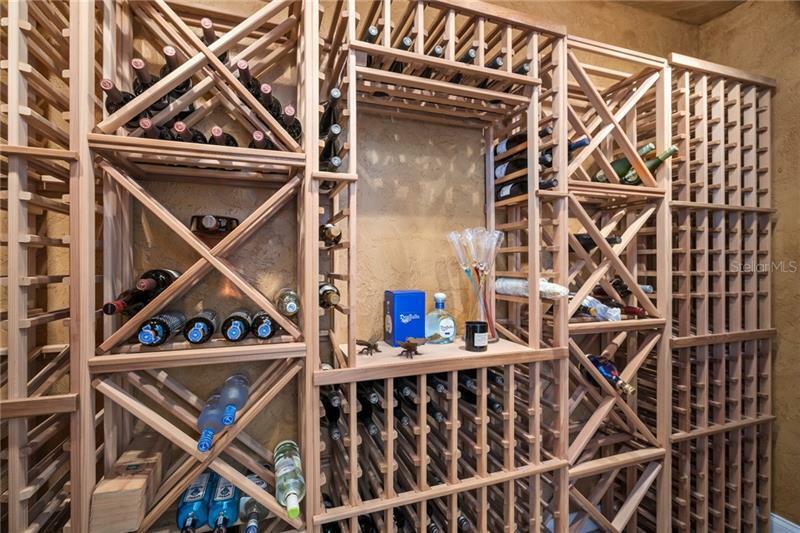 A wet bar and 600-bottle wine cellar enhance the entertaining experience. 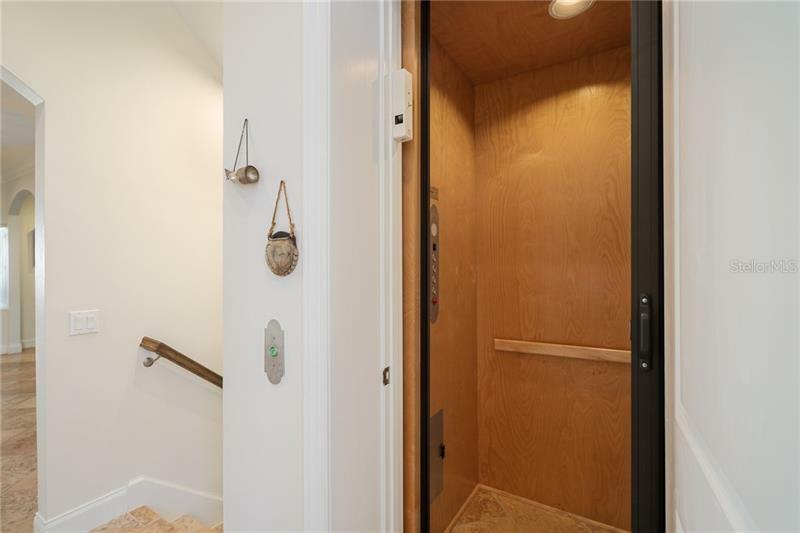 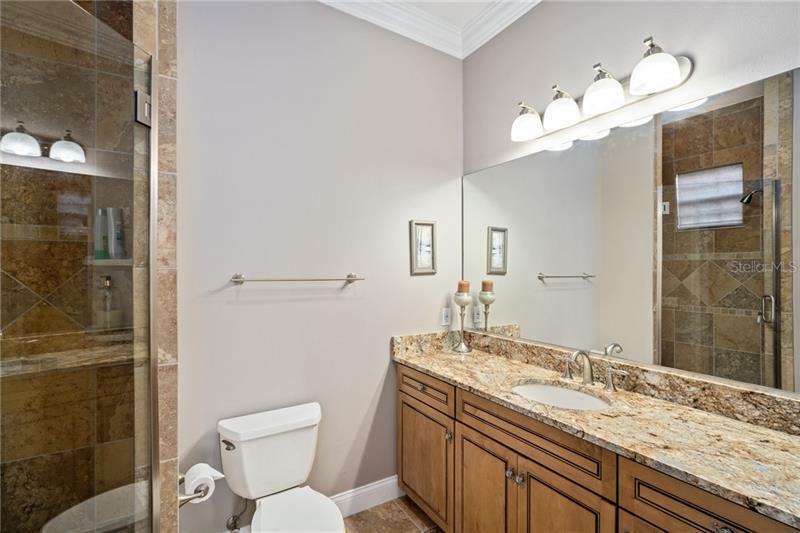 Thereâs a space for every convenience including an office, media room, private elevator, laundry room, and mud room. 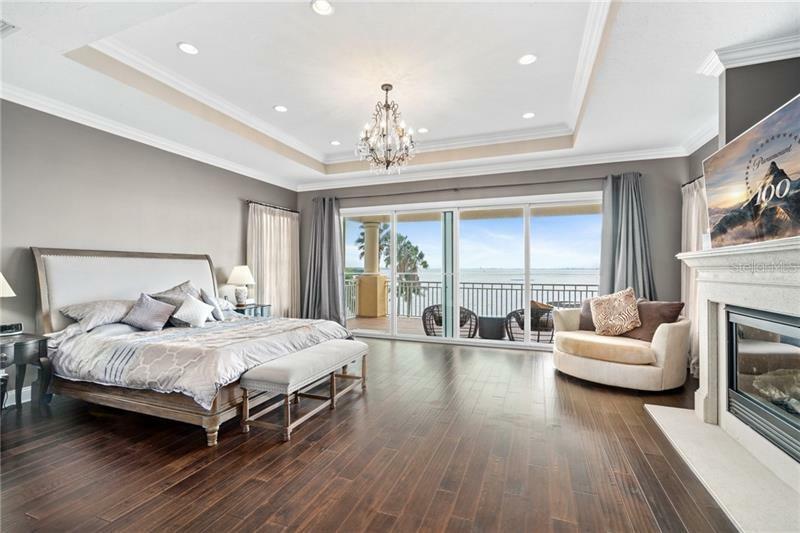 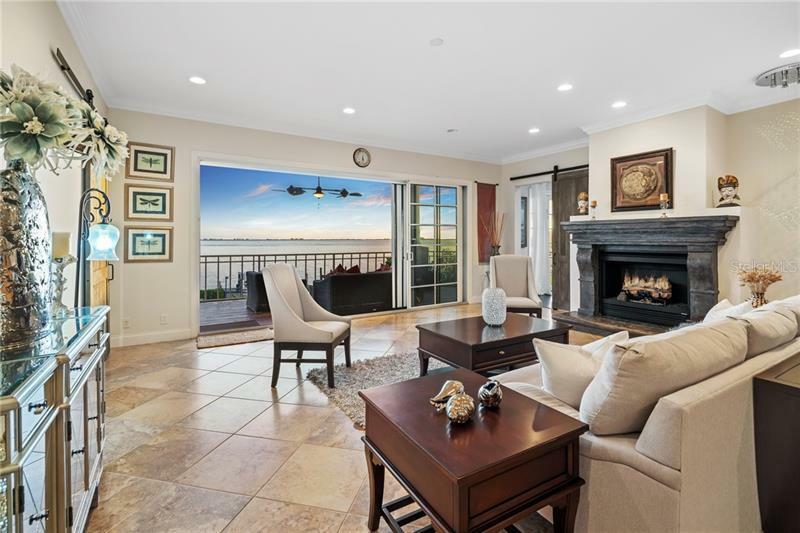 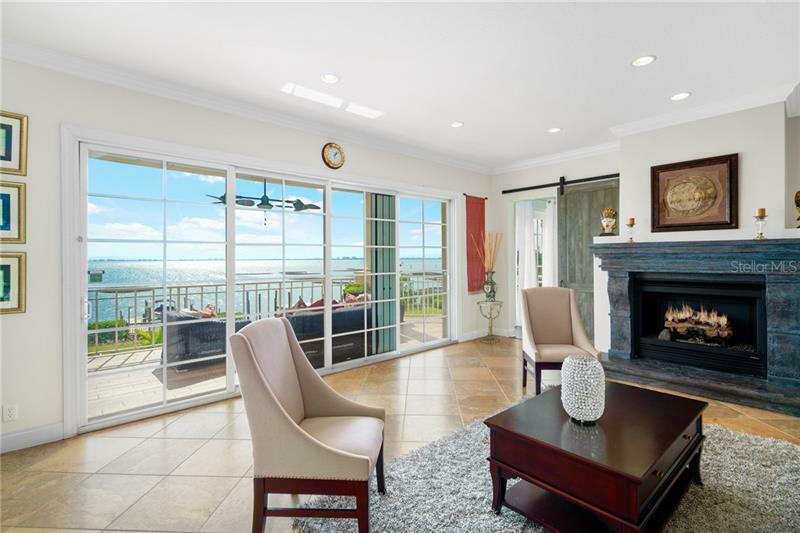 The sumptuous master suite overlooks the Bay with sliding glass doors that disappear and connect with the private viewing terrace while a fireplace gives it an elemental ambiance. 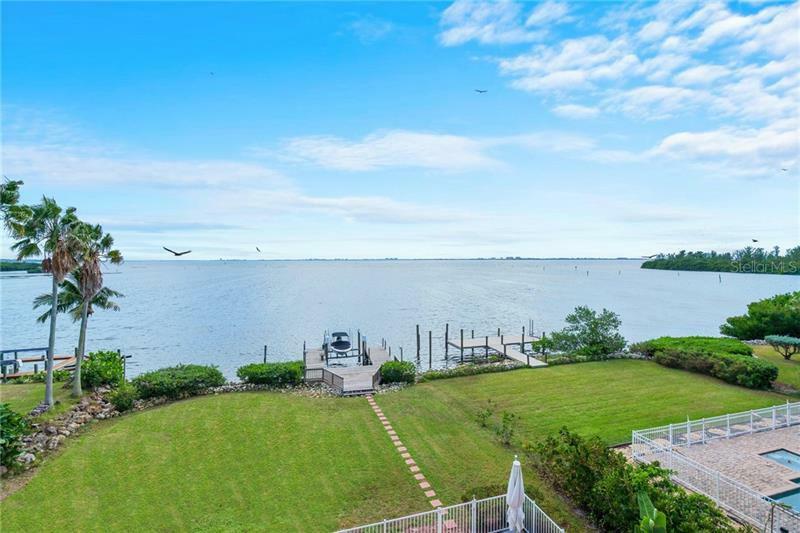 The views take on a new level of magnitude in the winter months when white pelicans who have migrated south take up residence behind the house. The waterfront resort-style pool area is enhanced with heated salt water pool and spa and coveted greenspace. 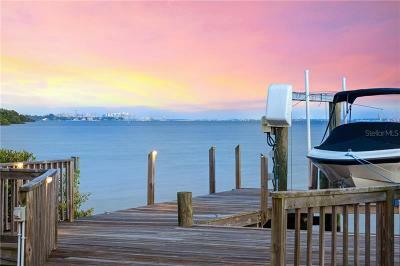 Private boat dockage beckons weekends drifting along the water with electricity, running water, and a boat lift. 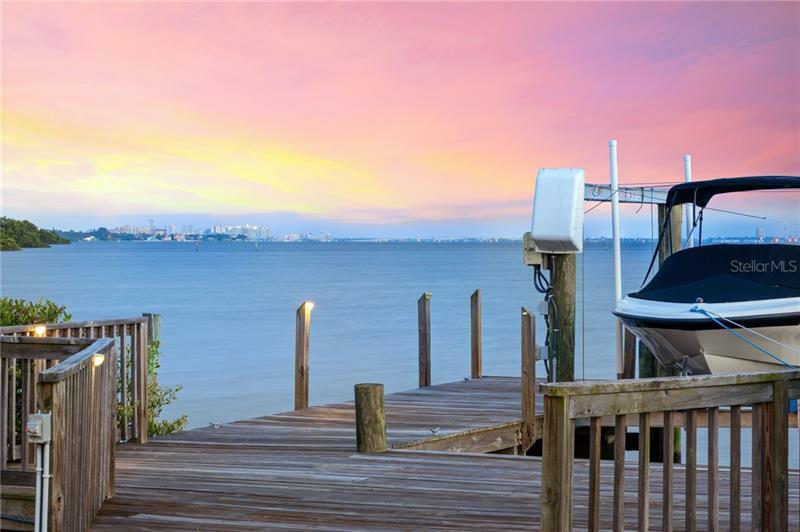 Hop on your boat and within ten minutes youâll arrive at signature waterfront restaurants. 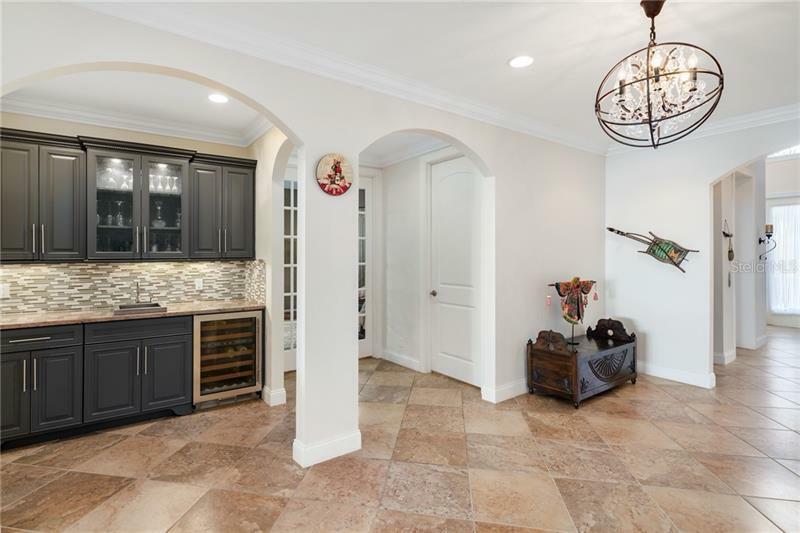 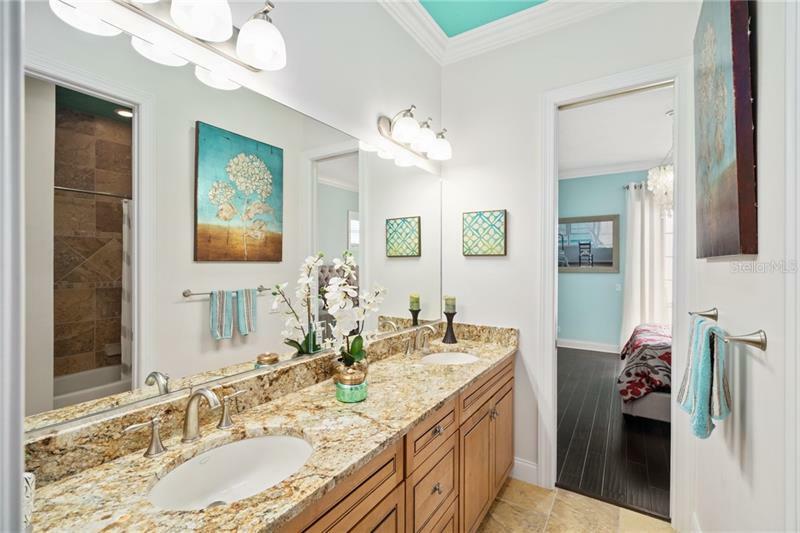 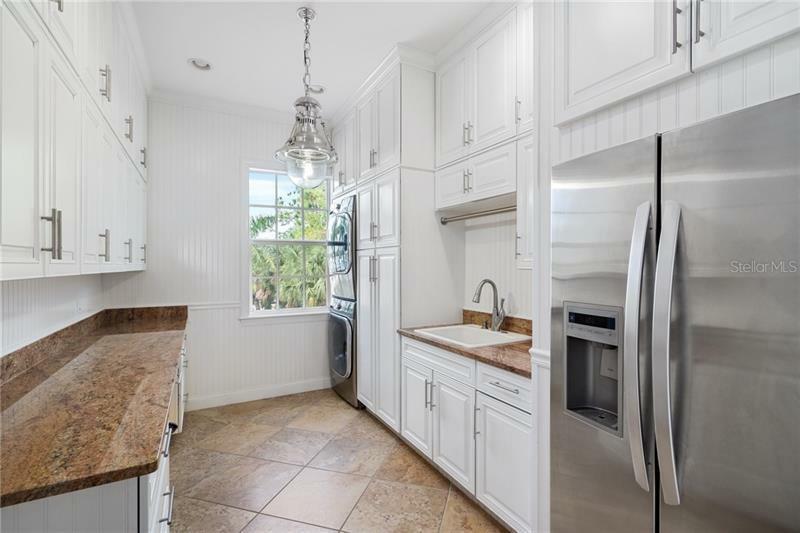 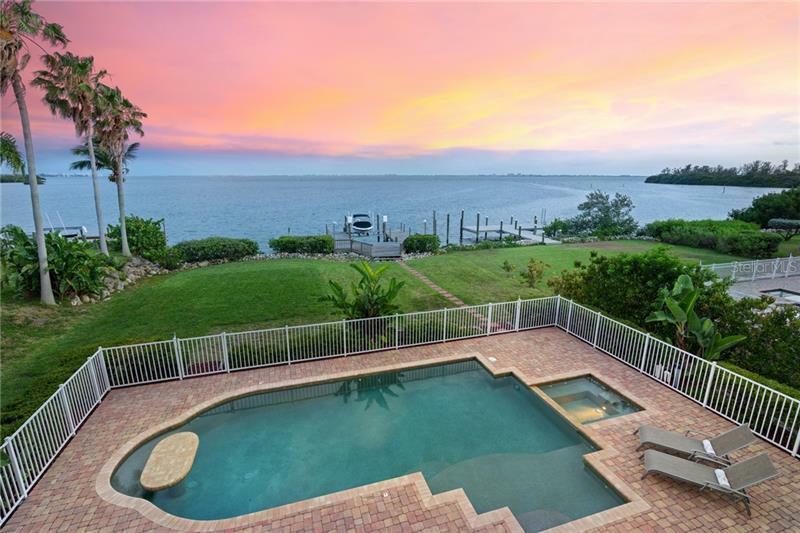 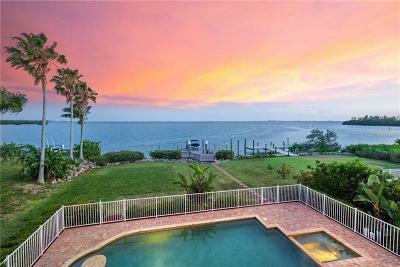 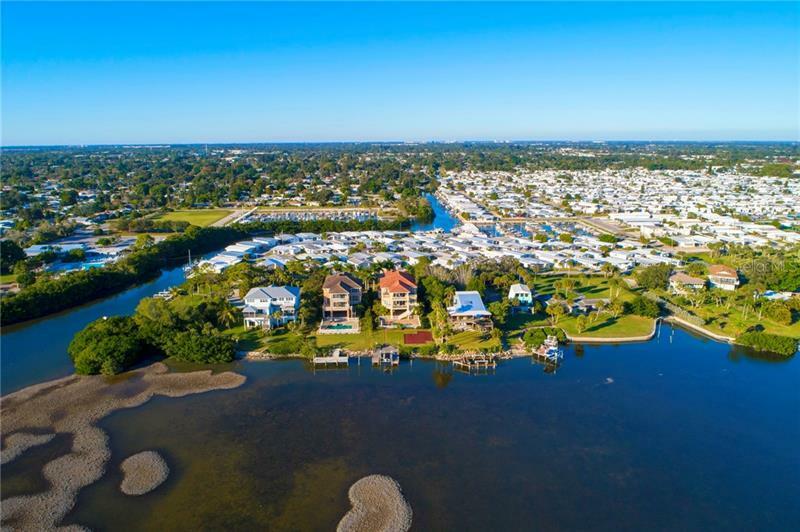 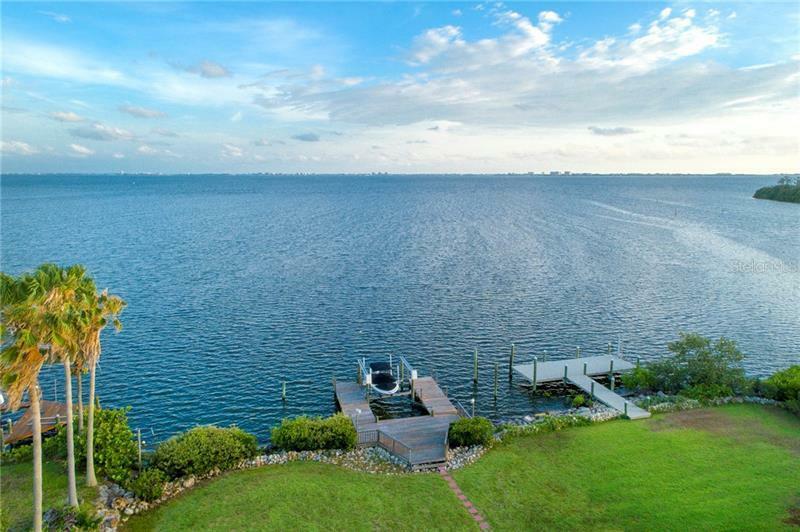 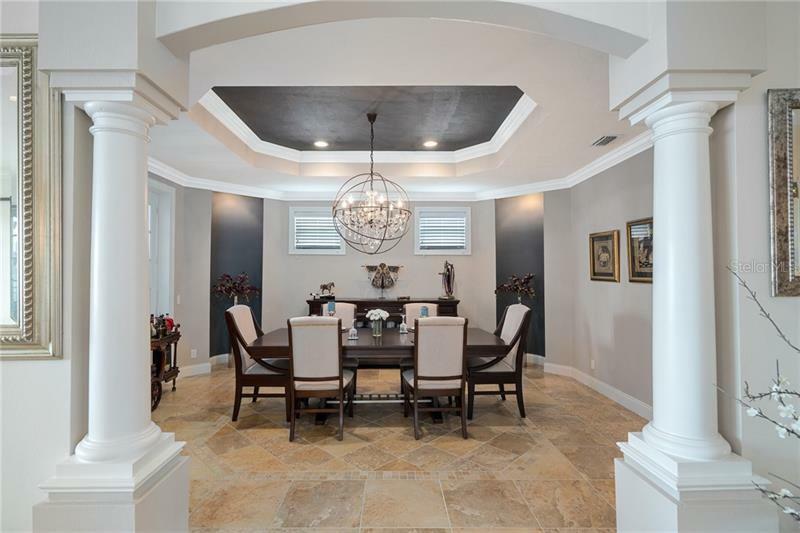 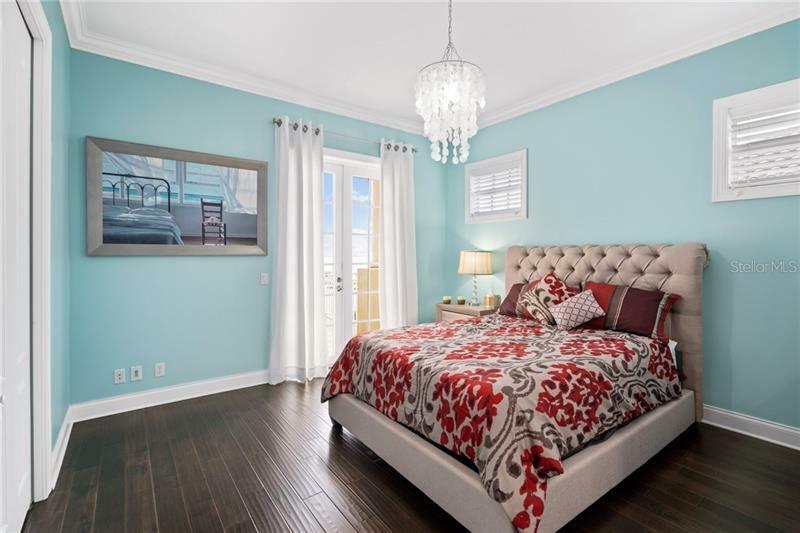 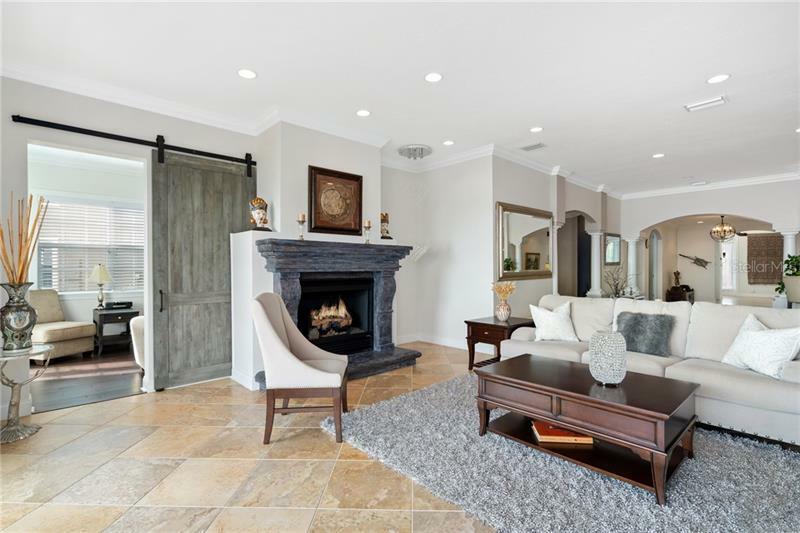 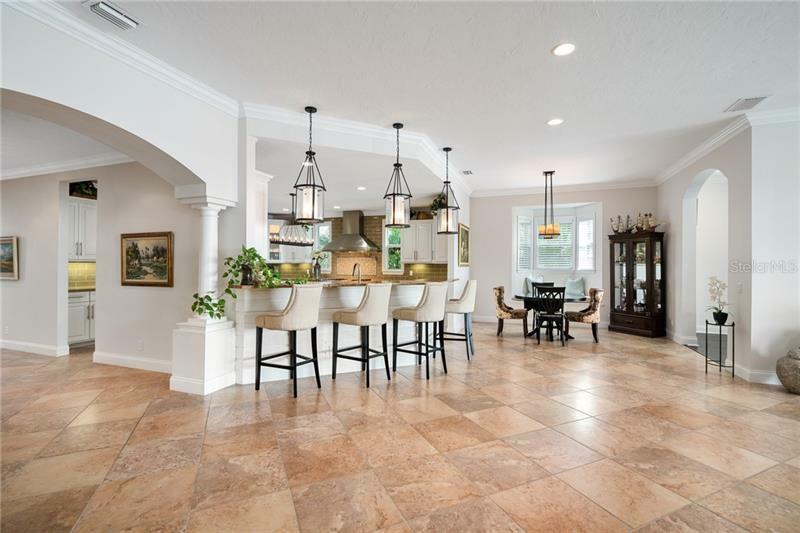 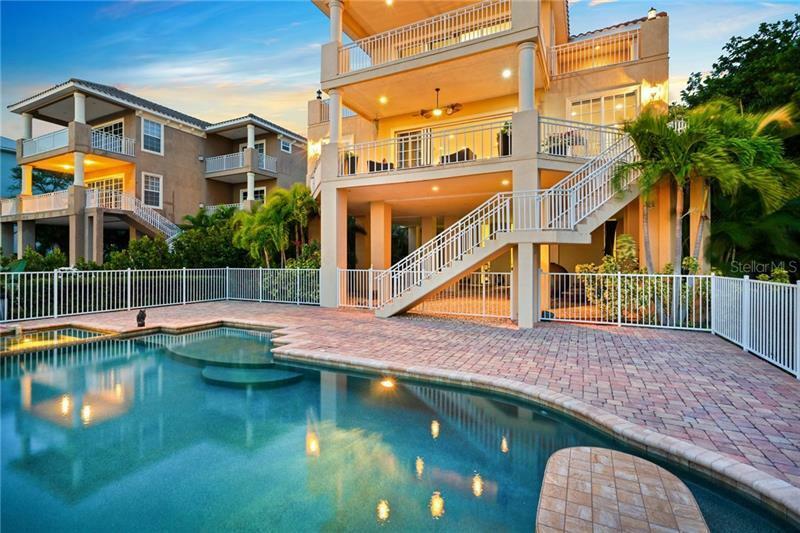 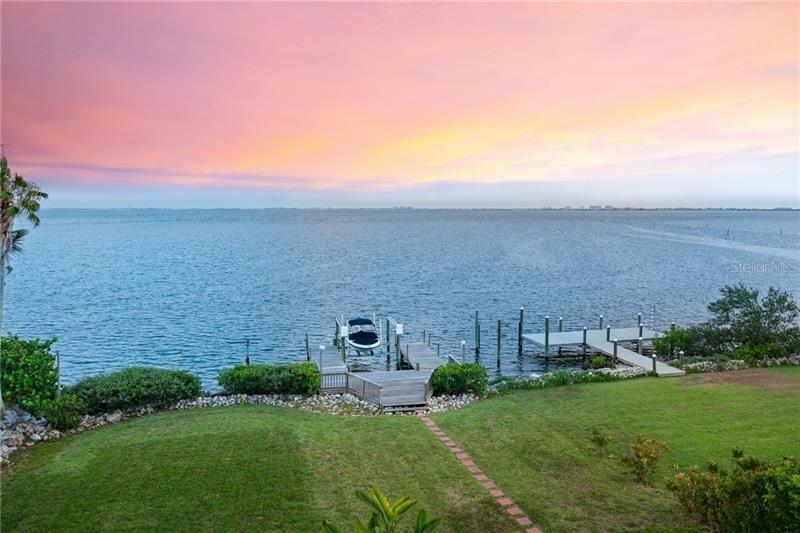 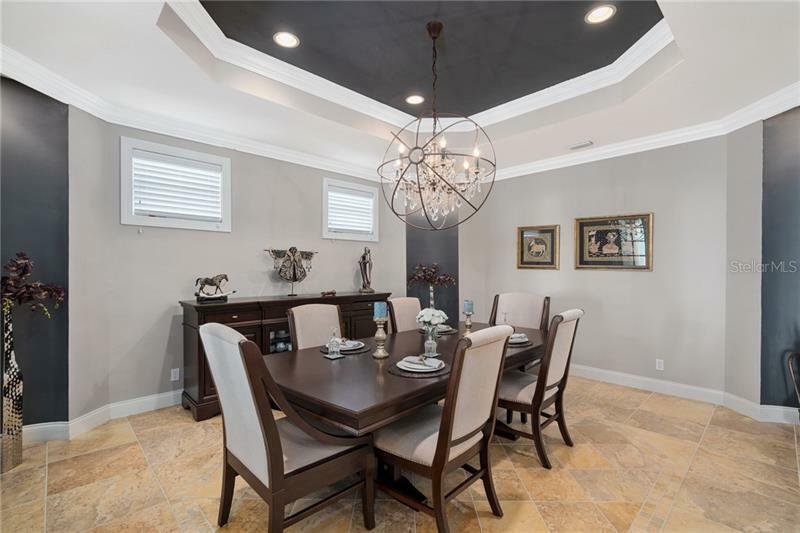 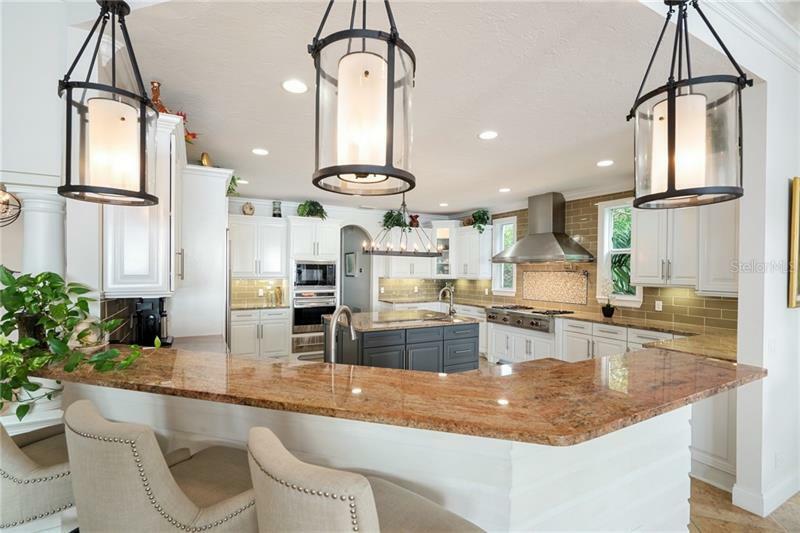 By land, the location is convenient to IMG Academy, SRQ International Airport, downtown Sarasota and Bradenton, and stunning Gulf Coast beaches. 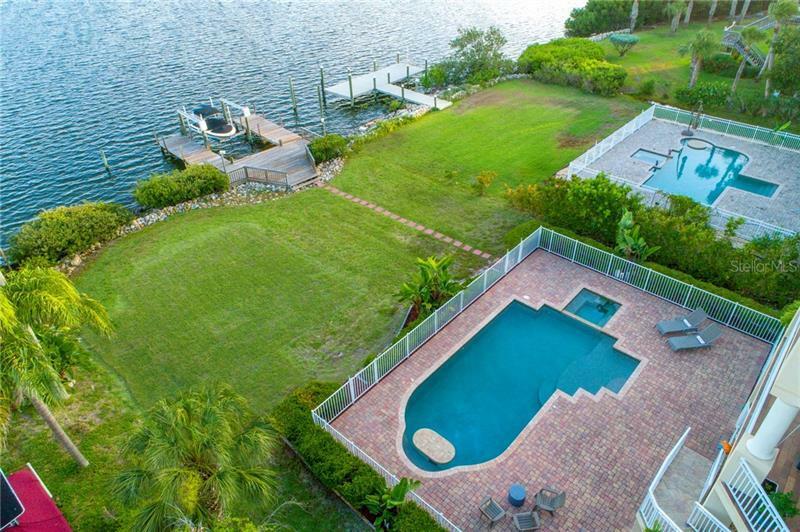 Surveillance is present at the property.